Mandolinist Henry “Butch” Waller has been leading the SF Bay Area band High Country since 1968. His latest recording is a collection of six waltzes, all his original compositions. Five of them are instrumentals; Golden Gate Waltz is sung by Butch with his daughter, Juniper. Butch has drawn on a large group of players: Glenn Dauphin on rhythm and lead guitar and bass, Tom Bekeny, Paul Shelasky, Brian Godchaux, and Chat Manning on fiddle, Larry Cohea and Sandy Rothman on banjo, Alan Senauke, Jim Nunally, and Steve Pottier on lead guitar, and Jim Mintun on Dobro. Pine Valley Waltz seems to evoke a majestic grove of tall trees. Roberta's Homecoming Waltz features Paul Shelasky double fiddling with himself. Jagged Blue Waltz could have been written by Big Mon himself; it has that bluesy feel with lots of choked notes and minor chords plus the jagged contour of notes referred to in the title. Brian Godchaux gets to double fiddle on Daydreamer's Waltz which an ethereal and soaring feel. Golden Gate Waltz, is about a lonely lover in San Francisco and features a key change that reflects those complex emotions. 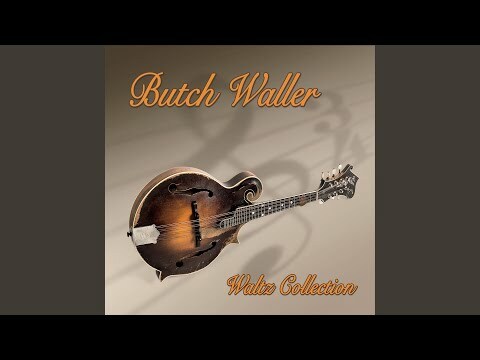 Valentine Waltz is dedicated to Butch's wife, Corless. It has a melody a bit like a bramble entwined around a rose, and that really comes out in Brian's double fiddle lead. I view this recording as a celebration of six new and lovely waltzes. I invite everyone who reads this to join in. Find a partner and waltz.